Ajay Devgn Ffilms Aapla Manus tries to reduce the gap between two generations.Well-written dialogues and convincing portrayals of characters by Nana Patekar, Sumeet Raghavan and Iravati Harshe picks up the director Satish Rajwade's vision in a right direction. Many Marathi movie makers are trying to narrate stories which are related to our daily responsibilities such as Jogwa, Killa, Court, Natrang, Mi Shivaji Raje Bhosale Boltoy and much more. In order to create a difference in expressing the thought, Ajay Devgn Ffilms and Watergate Productions, have taken a different approach in their recent release, Aapla Manus. Ajay Devgn’s debut as a producer has garnered a lot of admiration since the release of the trailer. Directed by Satish Rajwade, Viacom 18 Motion Pictures’ Aapla Manus starring Nana Patekar as Police inspector Maruti Nagargoje, Sumeet Raghavan as Rahul Gokhale and Irawati Harshe as Bhakti Gokhale is a whodunit which explores the tale of a couple living with the man’s father and managing the stress of urban life along with the intricacy of relationships. 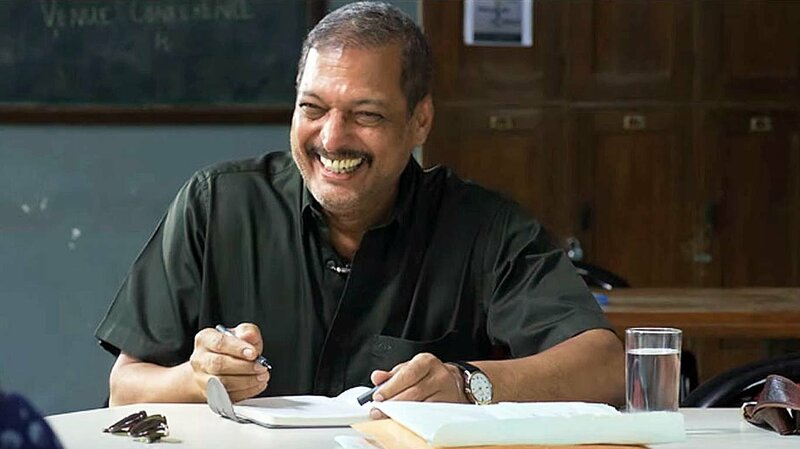 The film starts with an investigation into the likely murder/accident of Aba Gokhale essayed by the versatile actor Nana Patekar, yes it is indeed a double treat for all the Patekar fans! 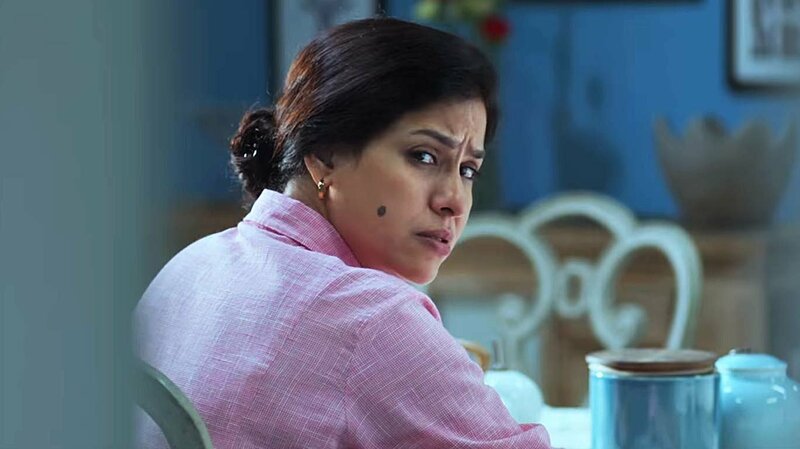 Aaba Gokhale (Nana Patekar) used to dwell with his son Rahul Gokhale (Sumeet Raghavan) who is a lawyer and daughter in law Bhakti Gokhale (Irawati Harshe) who is a Maths professor. Then arrives the Police inspector Maruti Nagargoje (Nana Patekar) at the crime spot where he gathers few pieces of evidence and starts with his investigation process, following which occurs a sudden mishap which forces them to question their beliefs about the institution called family. What happens next makes the crux of Aapla Manus. Based on a popular Marathi play Katkon Trikon featuring the eminent actor Mohan Agashe, Aapla Manus focuses on another side of the urban lives, thereby adding cinematic experience through their story. For those who show interest in watching Ajay Devgn on 70mm, Aapla Manus has a treat for Y'all, where the producer/actor has a cameo to surprise. Nana Patekar strives to deliver his best with his body language and dialogues, making a mark, once again with his trademark style. However, the veteran could have added more to his kitty with his versatility as he does not make this role special or memorable in any form. He is seen the same way as he has been in most of his movies, except the ones which won him accolades. Sumeet Raghavan and Iravati Harshe’s thrilling performances are surely a pleasure to watch. The story oscillates between two prime characters, and the chemistry shared between the two makes the film interesting. For the audience who intends to watch this film, I would like to specify, that it is the character sketch and the story which is gripping and not the actors, as they do not add value to the characters with their experience. Until the first half of the movie, the story keeps you hooked to the central plot of the film, however with the second half there is a lull which begins to follow through the narration and storytelling, which makes the film difficult for the remaining minutes. The story is good but its execution fails to create an effect, the well-written dialogues will definitely keep interested in the film. The background score of the film is mediocre and does not make a mark with the audience. To sum it up, Aapla Manus may bring the audience to the screens, however, there is a question if the film buffs will return with positive reviews. Considering Nana is well known for his roles in the regional cinema, the audience might anticipate more from him. Aani ho, Ha shaitaan hyaa evdyashyaa article madhye suddha maavnaar nahi, I’d suggest you give this film a try!